Australia is open to bringing home the accused gunman behind the Christchurch mosque massacre if he is convicted of the mass shooting attack. New Zealand Prime Minister Jacinda Ardern is exploring the possibility of deporting Australian man Brenton Tarrant after he faces trial. 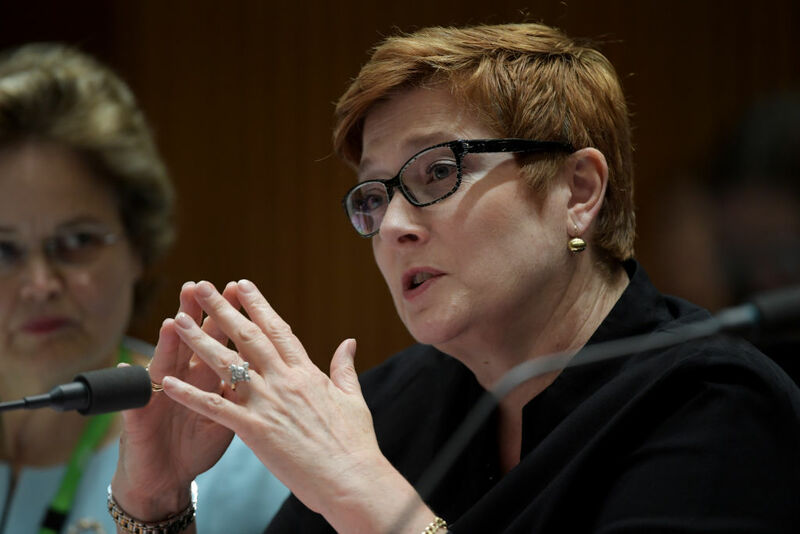 Australian Foreign Minister Marise Payne said the legal proceedings would take place in New Zealand. "If there are questions to be raised after that in relation to the location of anyone who is convicted out of that process, then they would be dealt with according to the normal processes," she told Sky News on Monday. "We work within the laws as they stand - we would have those discussions with New Zealand if and when the time comes - and I'm sure we will work through that very constructively together." Tarrant, from Grafton in NSW, has been charged with murder over the terrorist attack that has left 50 people dead and dozens more injured. The 28-year-old was not on any watchlist in Australia or New Zealand, despite online profiles linked to him containing white supremacist material. He posted a 74-page "manifesto" online before the attack and live-streamed a 17-minute video of the shootings. Home Affairs Minister Peter Dutton defended authorities, saying the prolific nature of the internet made it impossible to monitor all content. Mr Dutton also noted Tarrant had spent just 45 days in Australia in the past three years. Amid calls for increased targeting of white supremacist groups, Mr Dutton said far-right extremists had long been on the radar of Australian authorities. He has received briefings from federal police and Australia's intelligence agencies, with both due to address cabinet's national security committee on Monday. Australia's terror alert system also remains under review. "In these circumstances, people are always worried about a retaliatory attack or a copycat of what we saw, the atrocity that we saw in Christchurch," Mr Dutton told ABC radio. Greens senator Mehreen Faruqi said Mr Dutton and other Liberal politicians had whipped up anti-Muslim sentiment, giving a "nod and a wink" to white supremacists. "What they've been doing does come with a cost, it does come with consequences because really they've been playing games with our lives," she said. But Mr Dutton said Senator Faruqi was "just as bad" as independent Fraser Anning, who blamed Muslim immigration for the attack. The minister has previously said it was a mistake for Australia to settle Lebanese Muslims in the 1980s and has also called asylum seekers "illegal". Shadow attorney-general Mark Dreyfus wants the government to sign a parliamentarians code of conduct on race and cultural issues when politicians return to Canberra. "We need to have a reminder of the responsibility of all parliamentary people, all our political leadership, to take care of the words that they use," he told reporters in Melbourne. How come ODT gives a name to this coward?